Grab your safety goggles and start mixing up a winning potion! 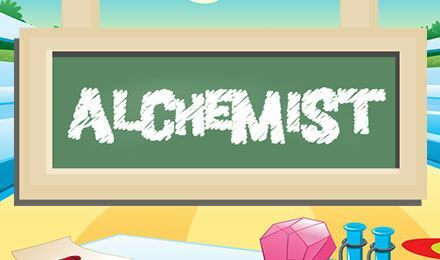 Play The Alchemist scratch card game and uncover big wins. Will you have just the right chemistry? Scratch and win with this fun 3x3 scratch card and see what else will be revealed to you. Uncover the correct three science themed symbols with The Alchemist and you could win the £100,000 Jackpot! Come up with new combinations in your laboratory and cook up big wins. Cause the beakers to explode or choose to use the Reveal All button to find your three winning symbols.